They’re planning on making even more, too. Two siblings from Arlington, Texas have been busy. The duo has been tinkering and crafting like crazy to create some truly breathtaking Overwatch cosplay. The sibling team is known as Frostbite Cosplay, and together, they’ve made over a dozen cosplays since Overwatch was released. They don’t go for just female characters either. They’ve created heroes across the board, and with immense detail too. They’ve cosplayed the usual suspects, like Mei and Brigitte, but they’ve proved they’re not shy to go big either. Just look at the craftsmanship. The detail of this humongous life-size Orisa is insane. It has full moving parts that can be manipulated, and you can get inside her and walk around with her, too. It’s hard not to be impressed by something of this scale, and it’s even more astounding when you figure it must have taken months to perfect. But it’s not just Orisa. 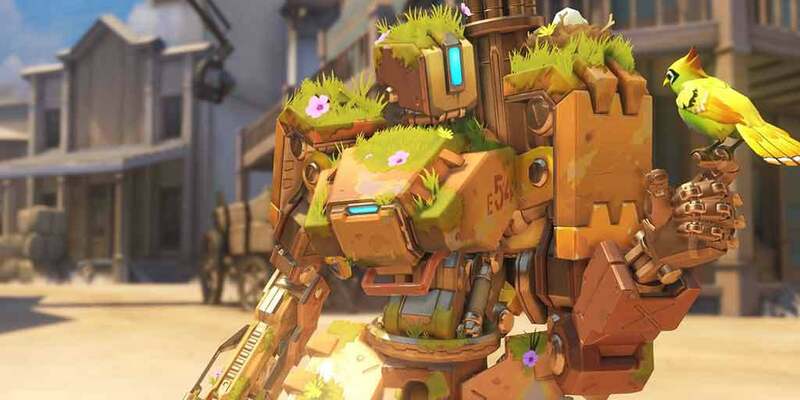 They’ve made Zenyatta, Torbjörn, and Bastion, too. They’ve crafted a whole host of different Overwatch cosplays. The siblings had a busy 2018. They were cosplay guests at Fan Expo Dallas, commissioned to build Brigitte for Houston Outlaws, and topping it all off, they qualified as finalists for the TwitchCon cosplay contest. But there’s plenty more coming soon. They wrote on the Overwatch subreddit that four more heroes are in line, including a new and greatly-improved Reinhardt at Ultimate Weekend. If you want to have a closer look at their cosplay, click here.